Escape Westgate AZ hosts exciting escape room games that are equal parts tense and thrilling; a really fun challenge for everyone. With three different rooms, you can try a truly unique experience every time you come to Westgates Entertainment district. We just can’t guarantee if you’ll be able to get out of each of them in under 60 minutes. Your team of Players must enter Cyberdyne System’s Headquarters. They will receive a message from the rebellion. To save mankind from the machines, players must complete several objectives. First, inject a computer virus into the heart of Cyberdyne Systems. Second, activate the missile systems and destroy the last remaining Factory of Terminators. Lastly, players will have to activate the internal laser devices to melt down the last remaining Endoskeleton, in turn saving humanity from extinction. Players must beware as they will have to outsmart a T1000 along the way! Terminator 2 Escape is a thrilling adventure game that has a complete immersive environment with Hollywood style special effects, including lasers, strobe, smell and fog effects. Any Player(s) 16 years and under must be accompanied by a paid adult. 1 to 10 Players: 60 Minute Adventure. Bill and Ted have taken a wild joyride into the future. Guests will soon learn that the time machine (phone booth) has lost power due to a damaged antenna and has become trapped between the walls of a mad scientist known as “The Collector”. Being a doer of evil deeds, he now has learned the secrets of Time Travel and used it to capture the life forces of the world’s most influential figures thus changing the course of history forever! Players will have to fix the damaged antennae, find a way to power-up the Time machine and release the captured life forces of Genghis Khan, Abe Lincoln, Socrates, Napoleon and our beloved Bill and Ted (and we can’t forget Rufus). Any Player(s) 16 years and under must be accompanied by a paid adult. 1 to 10 Players: 60 Minute Adventure. An Ancient Mayan tomb was recently unearthed. Now, the gods have been disturbed and the devastation has begun. Your team of archaeologists must put all the precious artifacts back in their proper place before it is too late. Players must carefully navigate through the tomb, to face the gods themselves! Beware, as this sacred ground contains hidden caves, and surprise challenges that must be overcome to restore the gods trust in the human race. Play only until the eclipse commences to satisfy the gods demands and restore unity among the Earth, or their fate will be sealed within. The Lost Tomb is an action adventure game that has a complete immersive environment with Hollywood style special effects, including strobe, smell and fog effects. Any Player(s) 16 years and under must be accompanied by a paid adult. 1 to 10 Players: 60 Minute Adventure. Escape Westgate offers Officially Licensed escape rooms located in the Westgate entertainment district. Each of our escape rooms offers a different adventure to test your thought skills and brain power in order to escape in under 60 minutes. 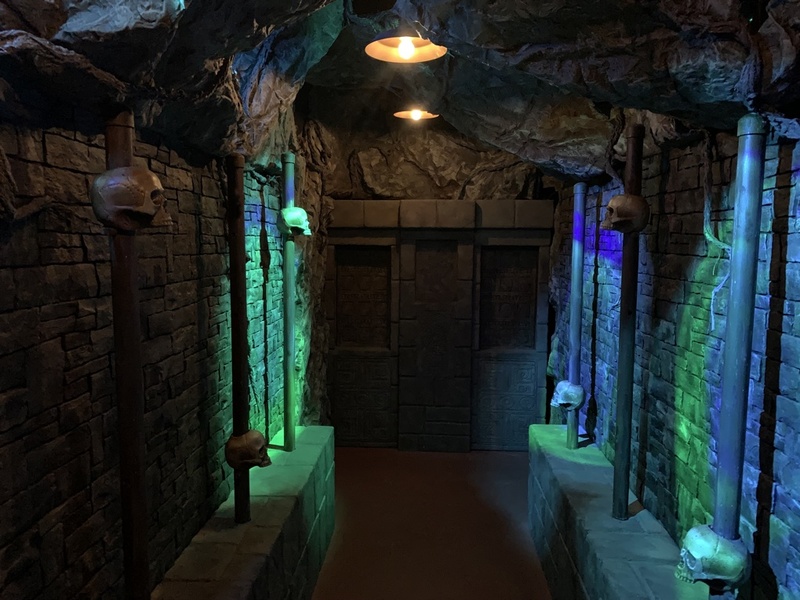 Which room will you try first: Terminator 2 Escape , Bill and Ted's Excellent Escape Room, or The Lost Tomb?